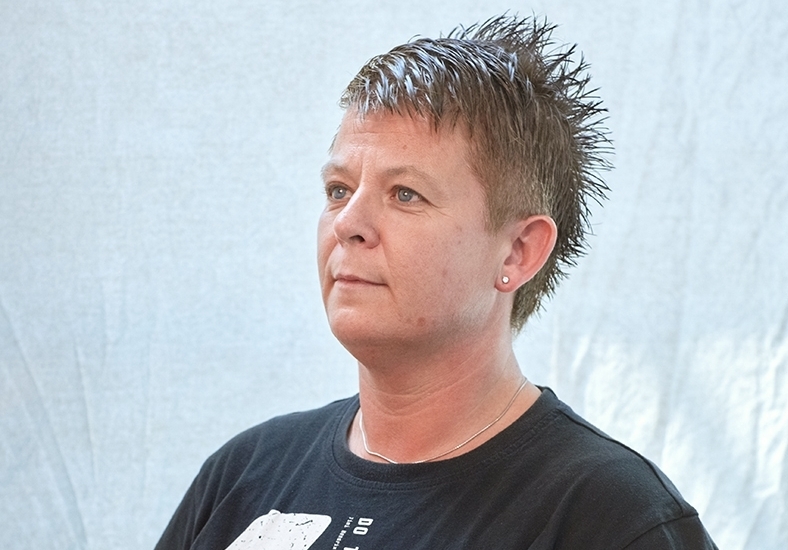 Meet Julie Weston, Supervising Officer at HMP Downview and recent Trauma Informed training participant. “I believe the most challenging part of my work is trying to build trust. This is often made more difficult when offenders often see you as part of a system that they do not want to be part of. I am responsible for the supervision of staff and managing a wing and the regime at HMP Downview. I have worked for HMPPS since October 2009. My background is in Youth and Community work. I originally joined the Prison Service after graduating from Manchester University as I felt it would be a good springboard into joining the Police Force. After joining, I liked the work undertaken in working to rehabilitate people and help give people in our care the tools, skills and care required to build the strength to lead healthy, purposeful lives. I also liked the personal sense of achievement the residents feel when they change for the better. It gives me a huge sense of pride. I heard about One Small Thing training days through my establishment. I had already trained as a Suicide and Self Harm trainer and Five Minute Intervention Trainer. Trauma Informed Training for Trainers felt like an additional asset to add to the cluster of courses for working with female offenders. It encourages positive and caring relationships and in this case, specifically with female offenders. It helps to encourage the feeling of safety in what can sometimes feel like, a very negative environment. The most rewarding part of my job is when I hear about the success stories. Watching someone who may have been using drugs in the community and engaging in criminal activity in order to fund their habit, hit rock bottom, come into custody, then engage positively with the system and utilise the resources we have to build a better, purposeful life for them…it is hugely rewarding. I love that positive, proud transition back into the community. If I could change one thing, I would break down the, ‘us and them’ barrier. We help the ladies with any issues and concerns they have and we want to! Unfortunately for a lot of women we are initially the enemy when they come into custody. Ideally we would be able to function as a shop where the residents can come in, ask for what they need and we in turn, provide the best service we can offer with the resources we have. When they are done and all issues resolved we help them pack their bag and send them off to a happy life. To relax, I spend time quality time with my partner and our dog. We love to dine out, date nights, holidays, gardening and all the ‘couply’ things that people do I guess. I don’t really have a hero. I like nice people, people who want to make a positive difference. People who take a keen interest in positive aspects of life and promote positivity. It was inspiring to see Dr Stephanie Covington talk about women in Prison, the issues they come with, the fear and, the ways in which we can help etc. Dr Stephanie Covington knows what she is talking about. It’s her world and she owns it! There have been two courses I’ve attended which has changed the way I interact with the women in our care. Trauma Informed and Five Minute Intervention. I think these two courses have changed me as a person and, the way I interact with people. My relationships feel more meaningful and genuine. I believe I’m a better person. I always loved my work but I enjoy it more now because I feel I’m making more of a difference and – I hope – I am a good role model.